I've fallen off the healthy bandwagon this winter. I really enjoyed the holidays and football season through my taste buds- and it was delicious. Now, in hopes of pulling it together, I've taken to the web to find some healthy and simple mommy recipes. Did you know there's a whole world of these out there? 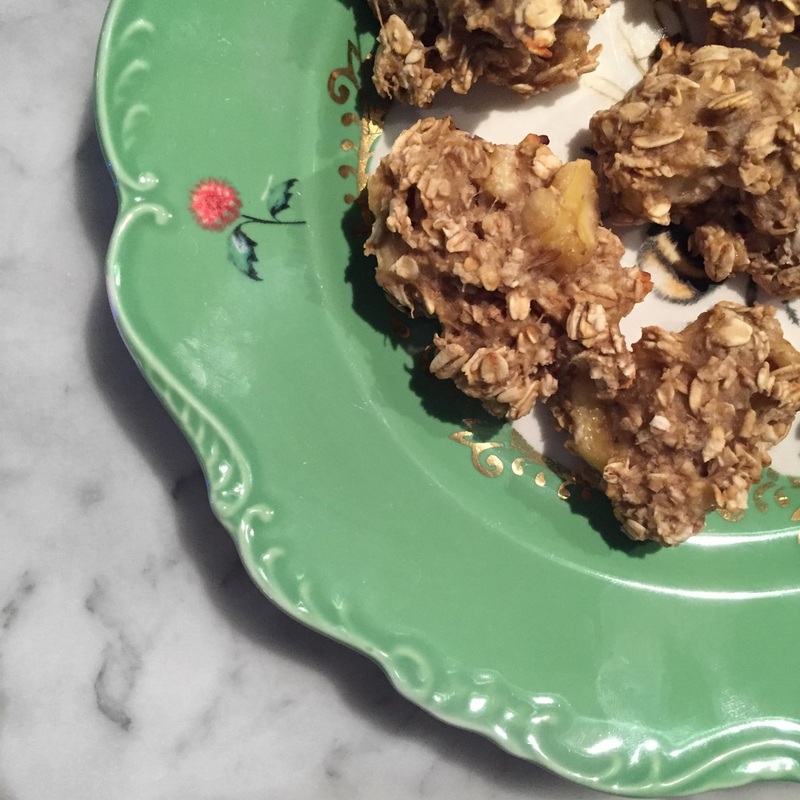 I made these delicious 2 ingredient breakfast cookies in a matter of minutes. They were sweet, yummy and filling; and insanely easy to make. If you want to get creative, you can add some extra sweetness and crunch with chocolate chips, walnuts, or coconut. Healthy and kid friendly? Yes, please! 8. Enjoy warm from the oven!